All schedule files are blank and designed for easy printing. Schedule files in editable document (Word) and spreadsheet (Excel) format also available. Above are PDF Schedule files for download. 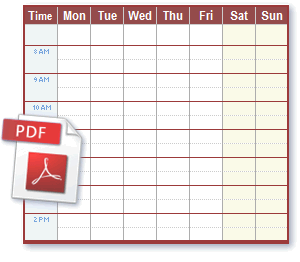 See also Schedules in Word/Open Office/Google Docs compatible format as well as PDF format.